Many times, I hear people say that they can't afford to make the feng shui adjustments they'd like, or they worry about having to buy new items in order to improve the energy in their homes. While there are a number of products available to improve the qi in your spaces, I'm a firm believer that feng shui should be available to everyone. Take a peek at the tips below for introducing feng shui into your home and office, even if you're on a budget. Keep in mind, although these adjustments are effective, especially with the right intentions, they don't take the place of a certified practitioner. Many feng shui schools or organizations offer student consultations while students are still learning. Think of places you can get a cheaper haircut by an instructor-assisted student, or discounts on other beauty regiments, like manicures or massages, as students perfect their craft. Feng shui academies often do the same thing! Spend some time online checking out schools near you, and if you're in the New York area, try the BTB Feng Shui Masters Training Program, where I learned feng shui! We work hard on the Holistic Spaces blog to bring you as many helpful, affordable feng shui tips as possible. From our Q&A Sunday questions to the podcast to weekly blog posts on common feng shui adjustments, the Holistic Spaces blog is a good spot to find information on feng shui without the cost of a full consultation. Just use the search bar on the right-hand side under Previous Blog Posts! One of the first adjustments my feng shui mentor taught me was One Good Deed a Day. It seems easy enough - just do one good deed every day for 27 days. The best part about this adjustment is that, once you really start to think about it, it becomes so much more than just a good deed for another. This adjustment can really open doors for positive energy to come to you, and it's completely free! A favorite adjustment for feng shui believers and non-believers alike is the addition of plants to your spaces. In feng shui, plants bring life energy to your home or office through the wood element, which symbolizes new beginnings, kind heartedness and fresh energy. As an added perk, they also work hard to improve the air quality in your indoor spaces. Adding a plant to your home or office can be as easy as transporting some of your backyard greenery indoors or even borrowing cuttings from friend. Check out how to do that here! While it is almost always better to invest in new items or plants for adjustment purposes, it's understandable that isn't always an option. Maybe you managed to find some beautiful crystals at a thrift shop, or a friend moved away and left an object in your care. These are both acceptable additions to your space, but always remember to clear the energy of any item that comes into your home. Whether you open the windows and peel some oranges or burn a little palo santo, refreshing the energy in your space, including the items there, is a very important aspect of feng shui. Usually it's best to clear the "predecessor qi" of any reused objects so you can start fresh. 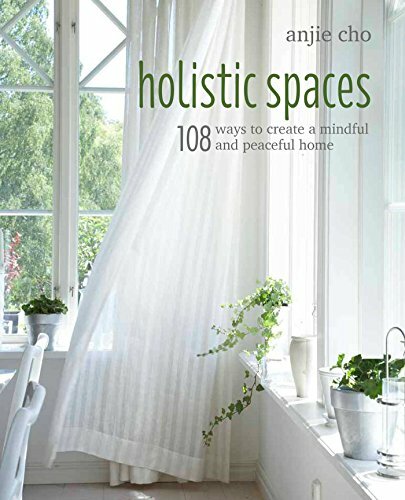 One of my favorite resources for feng shui on any budget is my book, 108 Ways to Create Holistic Spaces. I finished my first book this year, and it's packed with tips on creating your own holistic space through feng shui adjustments and guidance, like how using different burners can open up your opportunities. If you haven't picked up a copy, check the Holistic Spaces store for a signed one! No matter what adjustments you decide are best for you and your space, the most important part of feng shui is remembering that it is YOUR space. Everyone deserves to have a sacred space filled with positive energy and beautiful objects that nourishes who they are. Your holistic space may be different from a friend or family members, and you make choose different adjustments that speak to you, but ultimately, all that matters is that you make your space your own. Have you made any of the adjustments or changes we mention on the site? We absolutely love to hear about how feng shui has affected the lives of our readers. Share your story in the comments (photos encouraged)!